Every Vehicon knows how likely he is to be dismantled - either by the Autobots or by a Decepticon commander in need of spare parts. Danger is just part of life for them, and they welcome it. To a Vehicon, happiness is loyalty to Megatron and a warm blaster cannon. Prelude: I considered just skipping this review, because let's face it: is there any Transformers fan left who doesn't yet know that the Transformers Prime RID Vehicons are among the most awesome Transformers figures ever created? But then I thought, I'm just thinking of today. 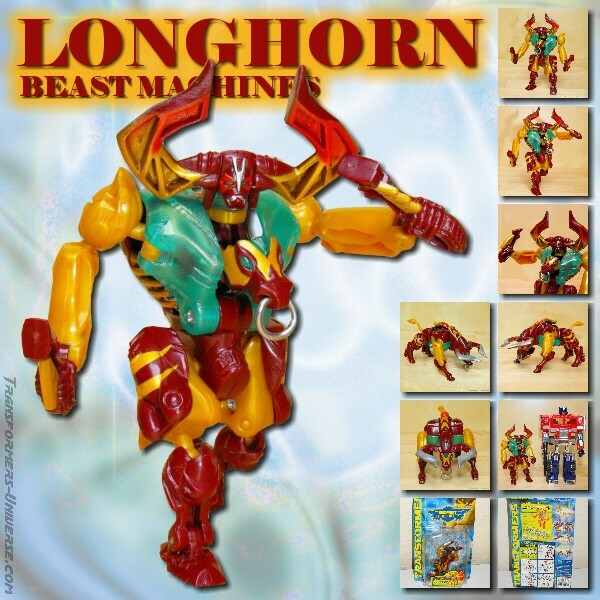 When some young TF fan is looking to buy some vintage TF toys ten years or so from now, he might appreciate a review to tell him about this old figure here. So for the sake of this review, let's assume we're in the far-flung future of the 2020s or such, the Prime TV series is long history, Michael Bay has stated that "Transformers VI – Return of the Primes" will definitely be his last Transformers movie, and Utopia has arrived. Now let's look back at one of the TF toys from way back in 2012. Robot Mode: Hard to imagine from today's standpoint, but back in 2012 it was a very big deal to see a robot mode where pretty much all the parts of the vehicle mode just vanished with barely a trace. Vehicon has wheels on his shoulders and lower legs, but that's pretty much all you see of his vehicle shell. Everything else folds together into his legs and vanishes from sight. This design also allowed the figure to easily be adapted with a new vehicle shell as Jet Vehicon. Articulation is not a problem for this excellent robot, either. The elbow joints are a tad strangely designed and take a moment to get used to, but he has no problems moving with the best of them. Look-wise there is nothing to complain here, either. Vehicon is supposed to be a generic bad guy and easily looks the part with his featureless face and dark Decepticon colors. Very nicely designed and executed. Finally Vehicon carries a black blaster weapon that he can clip to his forearm (simulating the TV series' gimmick of the characters transforming their arms into weapons) or his shoulder. Sadly he only has one weapon, while the TV characters could transform both arms, but he can easily adapt the weapon from a second Vehicon. So bottom line, an all-around great robot mode with no weaknesses whatsoever. Two thumbs up. Alternate Mode: The Vehicon transforms into a black car of the type that you just know is driven either by bad guys or Batman (currently starring in “Dark Knight Forever” and “Justice Leage III: Apokolips Now!”). It’s black, it’s sleek, it has edges, and it just looks dangerous. Not the kind of vehicle you'd see in normal traffic, but still a very good cover for a robot in disguise, as there are no visible robot parts or anything else that might make you suspect that it's anything but a car. Not much else to write here. Vehicon can attach his weapon to the left side of the car for added firepower. A second weapon can be put on the right side, too, but the weapon is upside down here, meaning you can see the hollow inside. Best to leave the car with just one gun. Bottom line: a very good, no-nonsense vehicle mode. Remarks: Ah, yes, 2012 was a strange year. People thought the world would end because the Mayas were too lazy to continue their calendar and a black president was re-elected in the US. Apple was at the top of its game selling overpriced funky-looking stuff, and Transformers Prime was the then-current Transformers TV series. 2012 was also the year, though, that brought us one of the greatest Transformes Deluxe-sized figures ever, the Prime RID Vehicon. Depicting the expendable Decepticon soldiers from the Prime TV series, the Vehicon wasn’t that easy to get despite being earmarked for army builders. Remember, though, this was back in 2012 when Hasbro was putting out their TF toys at ratios of three Bumblebees per any other character (until the infamous yellow plastic crisis of 2014, but that’s another story). Anyway, a lot of people had a rough time getting this figure at first, but it was more than worth the wait. The Vehicon is, simply put, one of the best Deluxe-class Transformers figures ever. Great robot mode, cool-looking vehicle mode without any visible robot parts, and no flaws at all. That’s really all there is to it. So if you’re looking to stock up on any vintage Prime figures, the Vehicon should really top your list.